Everyone likes Alan Rusbridger don’t they? (Hi Alan, love your work) The main man at the Guardian is seen by many of us helpless, stumbling foals in this turbulent time in journo land as the shining light, the thoroughbred who will guide us….alright I’ll stop it now he has a lot to say about the future of journalism and a lot of people like what he says. Well, the pantomime villain of journo land, Ol’ Rupert Murdoch, can’t be such a big fan because it is Rusbridger and others in positions of influence that are stopping this paywall business being big business and becoming the future of journalism. I can honestly say I have never been on the News of the World website (don’t scoff, I’m telling the truth) and sadly I will never know what treats I have been missing out on now the paywall has gone up. On this occasion my missing out on something isn’t because I’m a tight git, I am just not going to pay for something when I can get it for free elsewhere. Common sense really isn’t it? 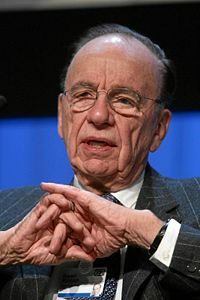 Any of the hot gossip or salacious celebrity titbits can be found on other paper websites; Rupert’s other red top, The Sun, for example. Bizarrely the free site had a link to its expensive sibling the other day…something not quite right in the PR department there.